Born in 1878, Bessie Young grew up on a farm in Carroll County before moving with her family to Grenada in 1899. Her desire to pursue a career surpassed that of having a family, and she never married, but began to teach instead. She taught at a public school in Lafayette, Louisiana and Grenada College, before moving to Bloomington, Indiana in 1913 to pursue a bachelor’s degree at Indiana University. It was during her time at Indiana that she discovered her love of the study of law. 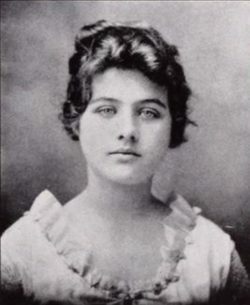 Young proceeded to enroll in the University of Mississippi law school, and became the first woman to ever graduate from the university in 1915. While she was elected as the Grenada County Bar Association secretary upon graduating, Young ultimately found little success practicing law in Mississippi. She moved to Washington D.C., where she worked first in the War Risk Department of the federal government, before relocating to New York City to serve as an attorney in the Office of the United States Attorney, Southern District of New York. As a member of the Provision Division, Young assisted future United States Supreme Court Justice John Marshall Harlan. Her job primarily consisted of enforcing the National Prohibition Act, and she handled all the paperwork along with another female attorney. Young finished her career back in D.C. as part of the Tax and Penalties Division as an associate attorney, before becoming ill and dying of cancer in 1938.